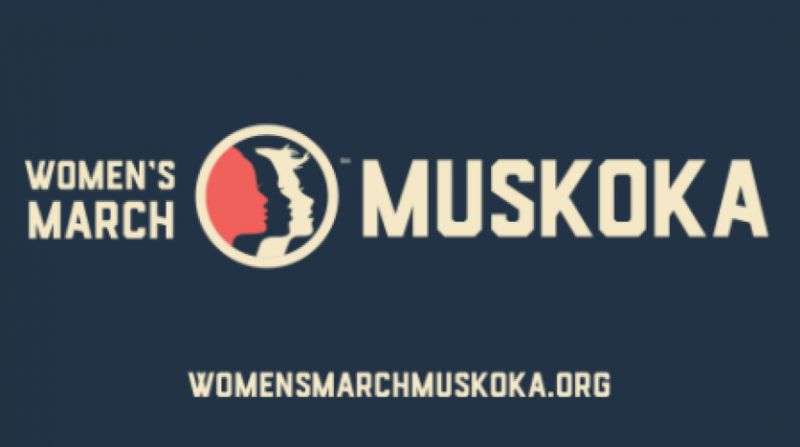 This Saturday, the Women’s March Muskoka will lead a walk through the downtown core of Huntsville in solidarity of women’s issues that remain prevalent in our society both locally and globally. The group says violence against women is as much a local issue as it is a global one. Over 80% of women in Muskoka, who have experienced physical abuse, never report that crime to the Police. On average, women in Muskoka earn 34.8% less than men and, that of the 2,030 single-parent families 1,645 were headed by women, surviving on as little as $20,000/year on average. The event is open to partners, children, and families, in addition to the women of Muskoka. The walk will depart from Huntsville Place Mall at 12:30 pm and stroll down to River Mill park and back.